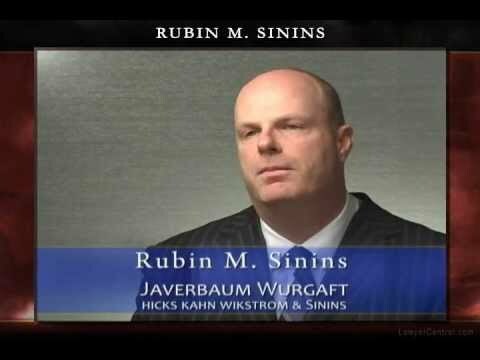 As both a certified criminal trial attorney and certified civil trial attorney, a distinction held by fewer than 40 attorneys, Rubin Sinins represents individual and corporate clients in a host of legal contexts. His litigation experience is wide-ranging, from the defense of complex, white-collar investigations to the litigation of employment-related claims for employees and employers alike. He has tried numerous cases in criminal, civil and equity courts. Recently Mr. Sinins obtained a $20 million verdict on behalf of five workers who claimed that a co-worker cheated them out of their share of a Mega Millions lottery jackpot. Mr. Sinins is frequently called-upon to handle internal investigations and other sensitive matters on behalf of his clients. These include the representation of professionals before licensing boards and other regulatory bodies. Mr. Sinins also represents students in disciplinary matters at all levels of education, through graduate schools. As a leader in the Bar, Mr. Sinins serves as Chair of the Essex County Judicial and Prosecutorial Appointments Committee. He is also Past President of the Essex County Bar Association. He previously served as Chair of the District V-B Ethics Committee. 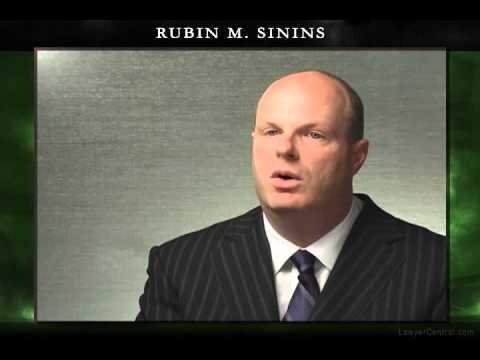 Mr. Sinins lectures extensively for Continuing Legal Education seminars for other attorneys. Mr. Sinins earned his B.A. and M.A. degrees from the University of Pennsylvania and his J.D. from the George Washington University National Law Center, where he was a Notes Editor of the George Washington Law Review. Following law school, he served as research associate to the Honorable A. Leon Higginbotham, Chief Judge (retired) of the Third U.S. Circuit Court of Appeals. Thereafter he served as a litigation associate at Paul Weiss Rifkind Wharton & Garrison in New York City. 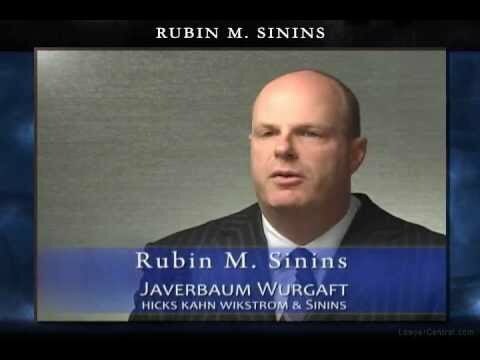 He was a partner in the Newark, New Jersey firm Sinins & Bross, from 1998 through 2007, when he joined the Javerbaum Wurgaft firm as a partner.